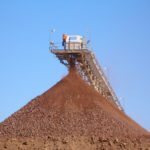 Perth-based gold-nickel explorer Regis Resources has announced its results for the 2018 financial year (FY2018), posting new company records for gold production and net profit after tax. Regis’s main area of focus is gold projects in Western Australia and New South Wales. In WA its operations include the Moolart Well, Rosemont, Erlistoun and Garden Well gold projects and Collurabbie nickel project. In NSW, the company is developing the McPhillamys gold project in the Kings Plain district. Regis produced 361,373 ounces (oz) of gold from June 30, 2017–June 30, 2018, a year-on-year (YoY) increase of 68,500oz. Net profit after tax was up over a quarter to $174.2 million, another record for the company. As a result, the company has announced that it will pay a dividend of $40.4 million (8 cents per share) to shareholders on September 26. The news comes during a time of considerable expansion for Regis. 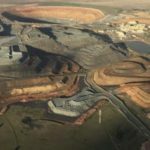 In addition to the ramp up at McPhillamys, the company announced at the start of August that it will develop a new underground mining operation. 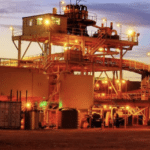 The Rosemont underground development will be built underneath the company’s current Rosemont open pit gold deposit, located nearby the company’s larger Garden Well project in the Duketon area, Western Australia. 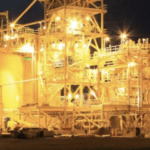 Combined, the Rosemont open pit and underground mines are expected to deliver 10.3Mt at 1.72 grams of gold per tonne (1.72g/t) over fiver years, with the underground expansion comprising 38 per cent of this figure. “The decision to approve the first development of an underground mine at one of our Duketon operations is a very exciting step for Regis,” said Mark Clark, Regis executive chairman.